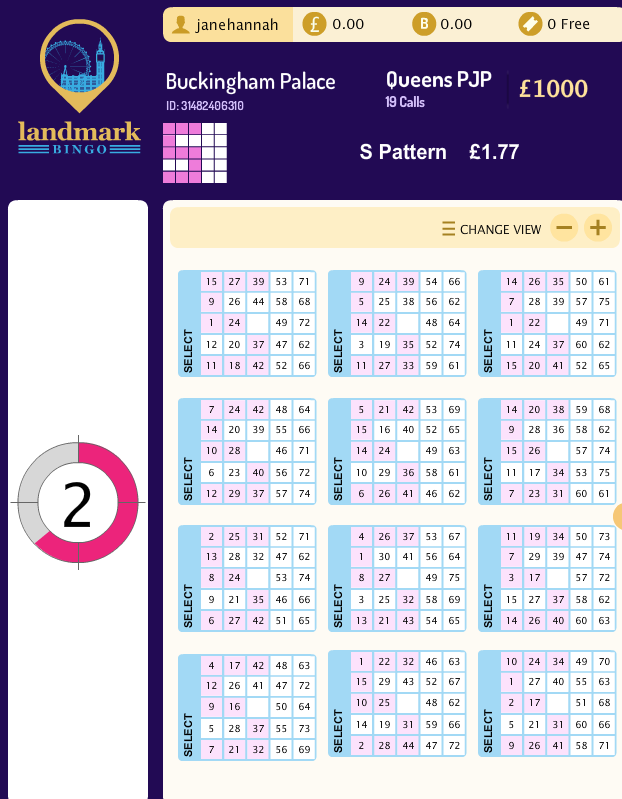 Landmark Bingo was first established in 2005 and offers 35 games. The leading bingo sites believes that playing online is a great way to de-stress and have a lot of fun, while making virtual friends in the process. In each of the games they have roomies to make sure everyone feels comfortable and happy while playing. 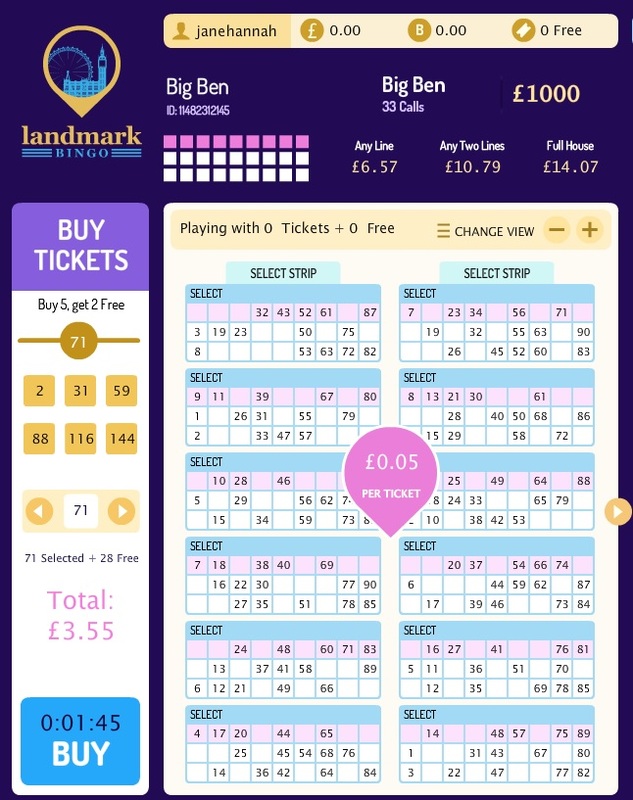 Landmark Bingo offer a range of promotions that run daily to encourage people to get involved with the game, for both new and existing clients. 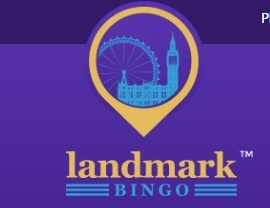 As a welcome to new players, Landmark Bingo are running two promotions. 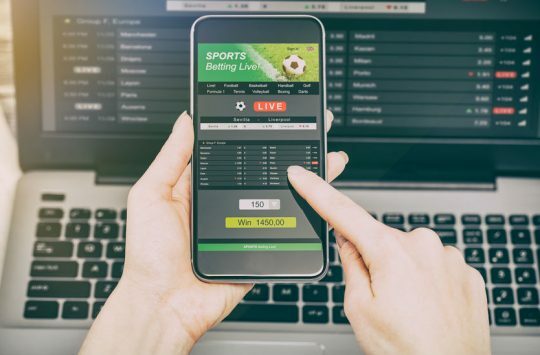 They have the ‘Welcome Bonus’ which allows users to receive a free £15 for signing up and the ‘Newbie Bonus Boons’ which is based on how often they deposit. For their first, users will receive a 500% bonus, and on their second will receive a 350% bonus, for example. To obtain these, all they have to do it select the bonus which is located on the cashier page. This will then give them instant credit to use. It’s very simple to sign up as member of Landmark Bingo. On the homepage, there is a tab on the top right side of the page, ‘Register’. To complete this, you will need to submit your contact details, such as your email address, phone number and address. On here, you can also submit your card details for you to be able to start depositing. There are 5 different bingo games that are available to play online, including 90 ball, 80 ball, 75 ball, 50 ball and 30 ball. 90 ball is the one of the most popular bingo choices. 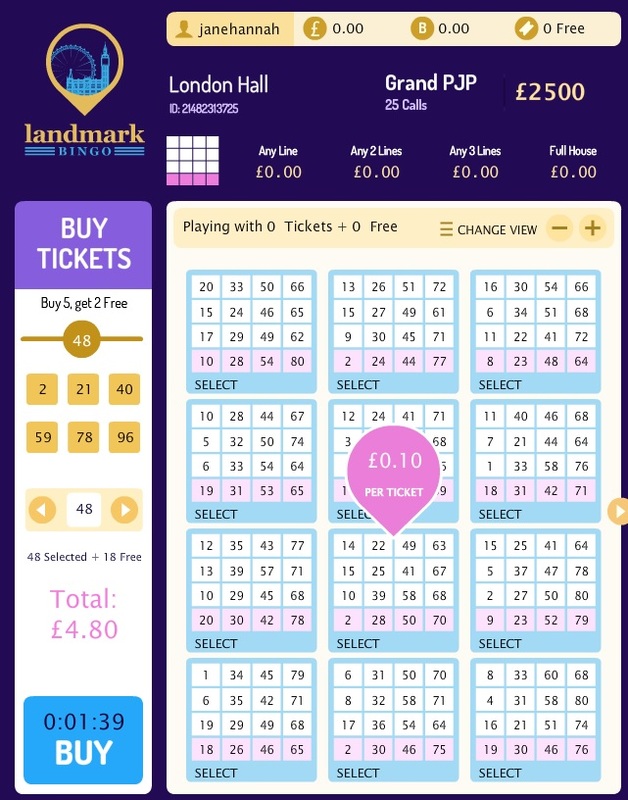 To play, users simply select a number of tickets which have 27 unique numbers on. 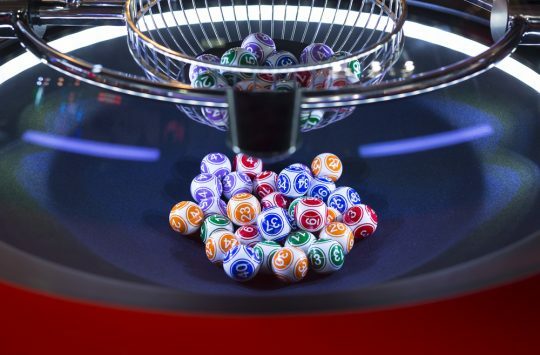 Traditionally, the bingo caller will reveal a number of balls and the user will tick any numbers that match on it. When the game is played online the card numbers are ticked off automatically. There are three opportunities for the player to win a prize - a line, two lines or a full house (matching all 27 numbers). Users can buy tickets for this game for 5 pence each. 80 ball bingo, tickets are made up of 16 squares of 4 rows and 4 columns. There are four different games that can be played within this game. The first is to get a single line that can be across, down or diagonal on the ticket and there's one prize available. Another game is 'Any line, any house' that has two prizes available. The first prize is the single line and the second is to play for the full 16 numbers. The third game is 'Any Line, Columns, House' and users can win up to four prizes from winning a single line, 2 lines vertically, being the first player to mark off all numbers on any 3 lines across the ticket and getting at 16 numbers. A 'Full House or Pattern Game' is when players compete to tick off all 16 numbers. There's only one prize available in this game and tickets for it are 10 pence. One of America's favourite bingo games 75 ball has tickets that are made up of 5x5 grids with five numbers down and across. BINGO appears on the top of the card and numbers are placed under the letters. The tickets for a 75-ball bingo game consist of a 5×5 grid of numbers with five across and five down. The word BINGO is displayed along the top of the card and each column of numbers is placed under a letter. For example, the B column will contain numerous from 1-15, while the O column will contain numbers from 61-75. 50 ball bingo is played with 50 different numbers. In this game, tickets have 10 numbers on them that are split into two rows. There are two prizes up for grabs in this - one is a single line and the other is gaining a a full house (all of the numbers). Often referred to as Speed Bingo, this game is much faster than traditional bingo games as there's only 30 numbers that are needed for a user to win. On each ticket, there are 9 squares which are made from 3 across and 3 down. 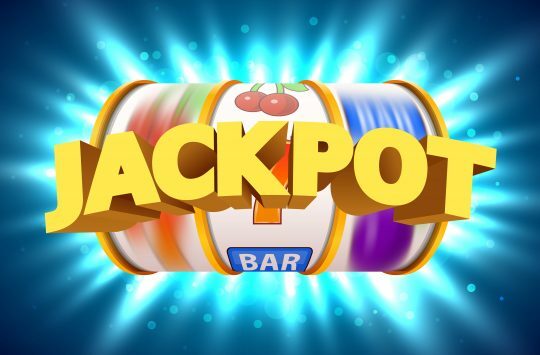 Depositing users are able to prebuy tickets for daily games but unable to purchase in advance the Mega Jackpot and the Super Jackpot. Depositing money is straightforward, simply click on the Deposit tab on the right hand side of the screen. You are then able to select how much money that you'd like to play with and submit your card details. Users are able to set a daily loss limit and a wager limit to manage their money. To request a withdrawal, users need to visit their account and select 'Request Withdrawal' under the 'Withdraw' menu. When doing so, you need to clarify how much money you want to take out of the account. 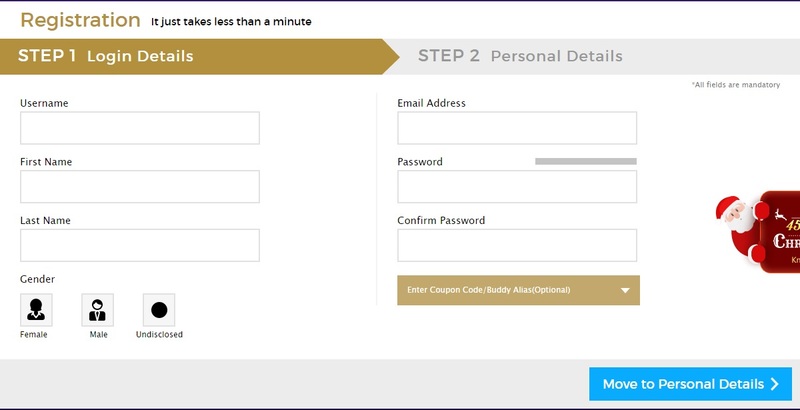 The amount you request will be checked by the site, depending on bonuses you have earned. You need to send ID proof of who you are, and a card copy to account@livebingonetwork.co.uk for the transaction to be carried out. 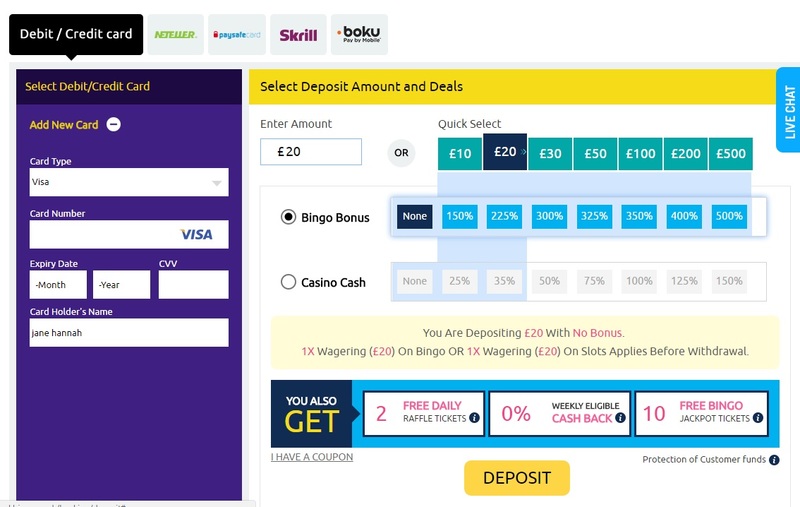 Alongside the bingo games, users can explore a range of other games including slots and casino. 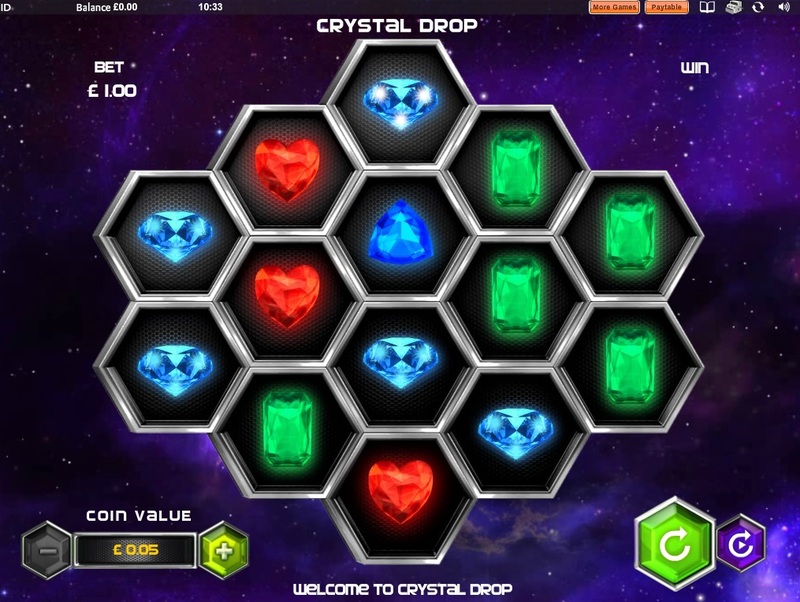 Some of these games include Crystal Drop, Tutti Frutti and Lucky Clover. If you need any assistance during your games on Landmark Bingo, here are the contact details you will require. "I love Landmark Bingo. Everyone on here is really friendly and the Chat hosts are really fun. I like that there's always a chat game going on and there's a good chance you will win something - unlike some of the other bingo sites. Thank you, you are the best site!" "Landmark Bingo chose me as roomie of the week which was a great surprise. I've really liked meeting people and speaking to the CH and other roomies. It's great to play bingo on here and I must give a shout out to CH Samantha who is warm, welcoming and helpful to all". "I've won twice in a week with Landmark Bingo, how lucky is that? Might need to change my name to valsxgottaxwin! Thanks for helping each other to win".